The proud father shared four photos on social media to mark the occasion. Source: Getty. Prince Andrew regularly praises his two daughters so it should perhaps come as no surprise that the Duke of York chose to mark the birthday of Princess Eugenie in such a public manner. The proud dad shared a series of four photographs on Twitter on Saturday, marking the 29th birthday of his youngest daughter with ex-wife Sarah, Duchess of York. The photos include a shot of Eugenie – who married long-term partner Jack Brooksbank in October last year – as a newborn baby, while big sister Princess Beatrice looks on, along with a photograph of the princess riding a pony with her dad’s help. The duke stepped out with his daughter in London on Thursday as she carried out her first official royal engagement with new husband Jack, a drinks ambassador. 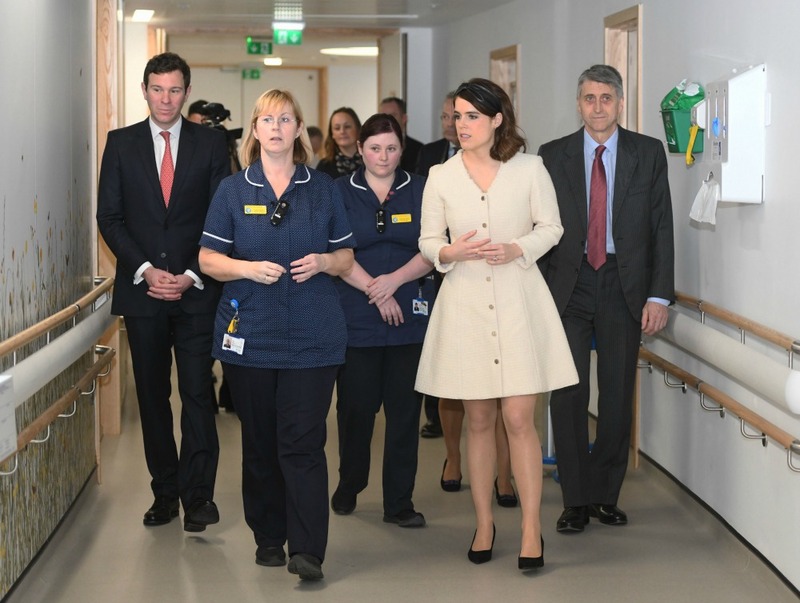 The Brooksbanks joined the princess’ father at the Royal National Orthopaedic Hospital (RNOH) for the opening of a new building. The hospital is classed as the UK’s largest leading orthopaedic hospital and was where Eugenie underwent life-changing surgery for her scoliosis when she was a young girl. Following the visit, the princess took to social media to share her feelings about the day. She wrote: “The hospital is part of who I am after being operated on when I was 12 for scoliosis. I was so lucky to have Jack come with me so I could show him where I had life changing surgery. Do you have a birthday message for Princess Eugenie? Are you a fan of the royal family?